Has the fire Berned out? 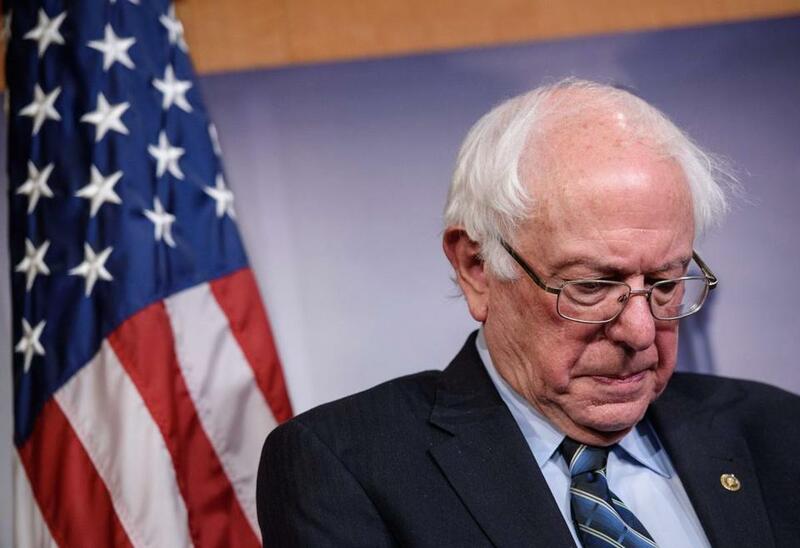 But as Sanders weighs another campaign, some say that even as he has moved the Democratic Party ideologically — pushing issues such as Medicare for all, free college tuition, and a $15 minimum wage into the mainstream — the party has moved past him personally. “I don’t see a lot of lasting energy for Bernie,” said Markos Moulitsas, the founder and publisher of Daily Kos. The popular liberal website published an online poll last week of 35,000 users showing Sanders fifth and Senator Elizabeth Warren first among potential 2020 contenders. That was a shift from 2016, when Sanders was the consistent favorite in head-to-head matchups with Hillary Clinton. Sanders is accelerating his efforts to contain the damage from reports of sexism during his 2016 presidential campaign. “It’s different from last time when he was the alternative to an unfortunately flawed front-runner, and there were just two of them,” Moulitsas said. “Right now, the mantle of ‘progressive’ can be carried by any number of candidates and potential candidates,” including Senator Kamala Harris and former representative Beto O’Rourke. 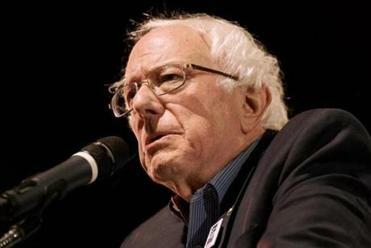 Jonathan Tasini, a 2016 Sanders campaign surrogate who wrote the book “The Essential Bernie Sanders and His Vision for America,” said the senator should consider backing a nationwide slate of left-wing candidates in 2020, rather than running for the White House. “I’m torn . . . because I was in the midst of the campaign with Bernie, but I think the people who look at that campaign need to understand the context is different,” Tasini said, noting that strong progressives such as Senator Sherrod Brown are eyeing presidential campaigns. Others argue the party should nominate a younger candidate, a woman, or a person of color, given the energy that nonwhite voters and women exerted in the midterms. Sanders would be 79 years old in 2020. Other party leaders say they are looking for the candidate who stands the best chance of defeating President Trump, not the one with the strongest progressive policy positions. Sanders’s supporters say it is precisely because of his deeply held convictions — in support of universal government-funded health care and other policies to help the working class — that the senator stands the best chance of ousting Trump. “We don’t have the luxury to afford another person who is all talk,” said Nichole Mossalam, a Sanders supporter and mother of three who filed for bankruptcy due to medical debt when she was 22, and whose husband is still paying off his student loans. The efforts to rally support come amid reports in The New York Times and Politico from some women who say they faced sexual harassment and sexism in Sanders’s 2016 campaign. Sanders has apologized twice, calling the mistreatment “absolutely unacceptable.” On Wednesday, he plans to meet with the former staffers to address their concerns, the Times reported. Mark Longabaugh, a senior Sanders adviser, said Sanders remains a vital figure in the progressive movement, closer to the activist base than the Democratic elite. He pointed out that the senator is backing the “Green New Deal,” an ambitious plan to combat climate change that has galvanized progressive activists, thanks in part to support from Sanders’s star acolyte, Representative Alexandria Ocasio-Cortez of New York. He also pointed out that Sanders remains very popular with millennials and won that demographic by huge margins in the 2016 primary. “I still think he has his fingers on the pulse of the party and the future of the party, because that’s literally the future of the party,” Longabaugh said. And many of Sanders’s followers remain as dedicated as ever. Shannon O’Toole, a 59-year-old disabled veteran from Lee, N.H., said she is just waiting for Sanders to announce, as are her friends in the military who serve overseas. She already has an ample collection of Sanders gear ready to go, including T-shirts, bumper stickers, pins, and a yellow vest on which she wrote “Bernie 2020,” in a nod to the Yellow Vest protests against the French government.